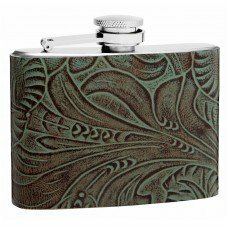 This 4oz genuine leather hip flask features a textured leather with swirls of color that is created right here in the USA from cows raised in the USA on feed produced in the USA. 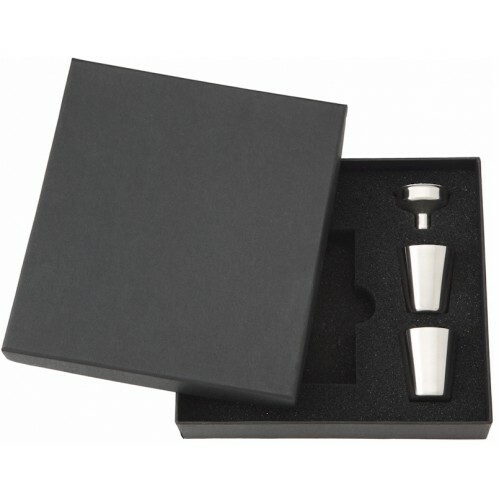 The wrap is applied by hand to the solid stainless steel flask by US workers in US facilities! Buying this flask helps support the US economy! This hip flask is the closest thing to "Made in the USA" as you can get with hip flasks. The brown and slightly green textured genuine leather has a unique and soft pattern embossed directly onto the 100% genuine leather. 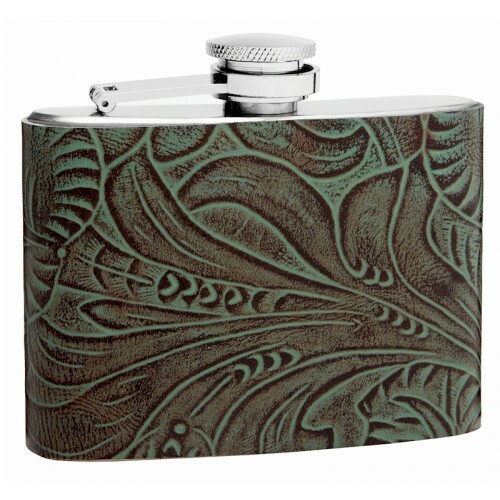 This is a great flask made with high quality stainless steel and leather. The 4oz size is perfect for most anyone and can easily fit in your front or back pocket. The leather is thick and hearty and will never come off the flask because it is permanently bonded using industrial strength adhesives.